Saudi Arabia currently consumes 10 million barrels of oil per day, which is 25% of the global crude oil production. Its consumption alone is greater than the total US oil production. The wind power output was 2,708 GWh in August 2014, down 14.6%. 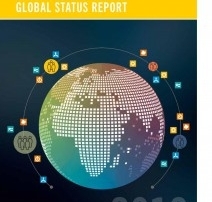 Solar photovoltaic (PV) generated 4.2% of the total mix, and the share of concentrated solar power (CSP) plants was 4,2%. Andalucia has reached a renewable energy share of 39% of the region's total installed capacity, with green power plants generating 13,583 GWh of power annually. Concentrated Solar Power (CSP) came to supply 5% of electricity generation and covered between 13 and 14 h. 8.3% of demand on July 13. 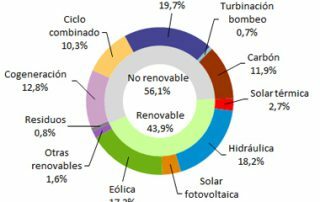 Renewable Energies in July covering 37.6% of the demand in Spain: 16.8% wind energy, Concentrated Solar Power (CSP) 4% and solar photovoltaic PV 4.3%.